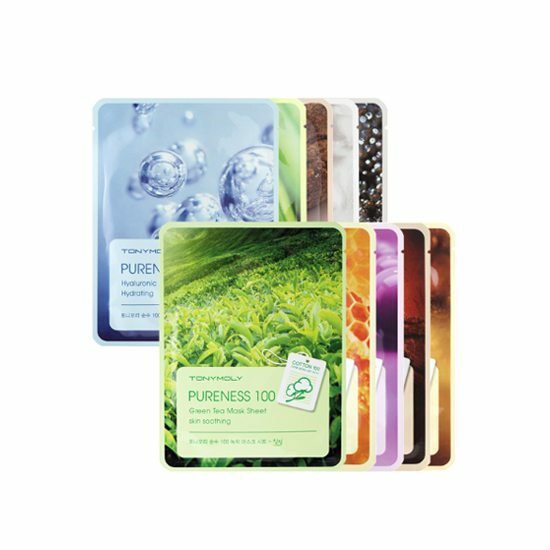 TonyMoly Pureness 100 Mask Sheet , 21ml, Korean cosmetics. Free shipping to worldwide (order above $50), 100% safe shipping. 100% pure cotton is gently adhered to the skin. Cotton seeds were blended with no-bleached eco-friendly fabrics. Premium ingredients help skin care. personally, i prefer the snail ones better! amazed by how this product works despite it’s a cheap product. it helps to keep my skin soft and moisturized. I bought 7x Pearl, 5 x Hyaluronic, 5 x caviar, 5 x red ginseng since they were cheap and I wanted to try them out as everyday’ mask. I first used Pearl. It didn’t brighten my skin a lot but my face felt really soft and moisture and also it gives me a glowy look. I just love them. I tried the others and they were also good. The pearl masks are a must have for me. These are really good sheet masks. My skin really enjoys them: it becomes moistured and shining. 20 minutes for relaxing with the great fresh smell. Every woman has to try it. I use it on my face first and then for my neck or hands. I ordered Red Ginseng mask, and I must say I am pretty impressed. The mask does it’s job. For the price I would definitely recommend it. I like these mask for the price! For the price, i would recommend it to my friends. These masks are so affordable. I bought a lot of these, so I can apply whenever my skin feels dehydrated and tired after work. Big packaging for its price, I guess, for me. it leaves my skin soft, moisturized, and fairer after usage. One of my favorite is the pearl mask! My brother tried the pearl one. He had a little sun-burn and after he tried the mask his skin was smoother and whiter,the next day it looked even better! Just tried the red ginseng, it has a cooling effect and a light smell (but it fades). It was very moisturizing and gave my face a little boost of light. I bought the pearl mask. It was easy to use, and there was a lot of product in the mask. I felt it brightened my skin after use, as well as moisturising. Overall I would recommend. Really nice masks for the price. The ginseng one works real well. Also got caviar, pearl, propolis and shea butter but ginseng is my fave. I live for these sheet masks! They are very moisturizing, and I feel like my skin really absorbs all these nutrients for a healthy, glowy look. Good and cheap! I bought the placenta one. 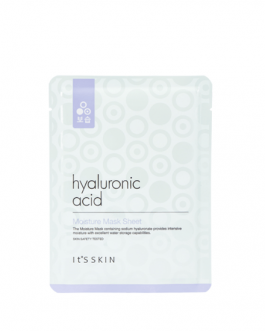 The mask fabric is comfortable and didn’t irritate my skin. It leaves my face looking bright and feeling soft. I would like to try more of them! Tried placenta, pearls and snail ones. Love it the way it makes my skin feel! 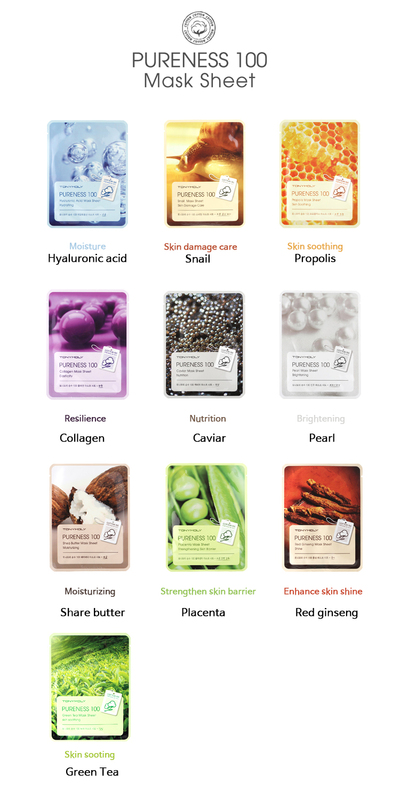 Amazing sheet masks. Got it in the collagen version and will try out all the other ones too. I really liked the smell of the mask and the feeling afterwards. Really moisturizing and not sticky at all. I only tried the pearl ones and they were nice. Not as amazing for me as i thought because of the reviews, but everyone has different skin types so it might be just that it’s not made for mine. It did work and made my skin look nicer but nothing extreme. It’s definitely worth it for the money though. I bought variety of this mask and i must say this mask are nice but its not that great. it did contain reasonable amount of serum and it moisturize my skin. overall, this mask is good considering its price. 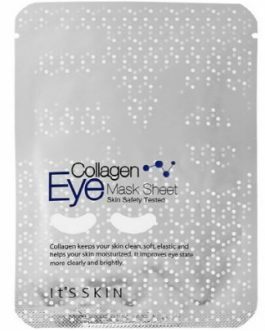 PS:one downside is that the mask sheet is much smaller compared to other brand so it you have face that is slighter bigger (like mine), you will have some uncovered edges. 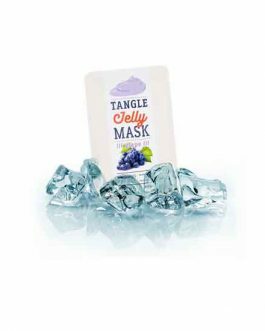 Very good masks smell amazing,prize amazing, skin moisturizing, i would recommend it. It bought one of each to try and it does a good job on moisturising my skin! Makes my skin look good~ Would repurchase!! 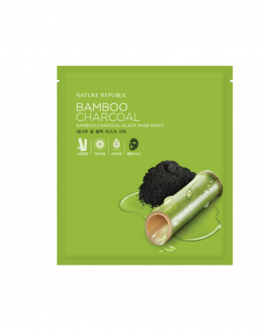 I have sensitive skin, but did not have any reaction with green tea, snail or pearl masks. The consistency of the serum is very watery, but it moisturizes the skin. I like to leave mine on when I go to sleep and when I wake up the next day, my skin definitely feels more hydrated. It leaves my skin as hydrated as if I did my entire skincare routine with essence, serum and moisturizer. They do majority of what they advertise, not entirely sure about brightening of skin tone because I haven’t been consistently using it. 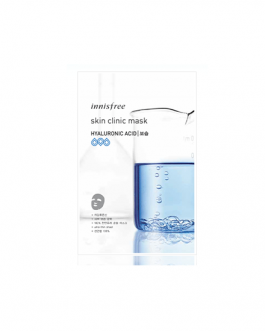 But that being said, I would repurchase this, but I can live without purchasing these masks. I cannot get enough of these mask! For the price, it works well. I purchased a shea butter one for my friend and she loves it. she said it was pretty hydrating. 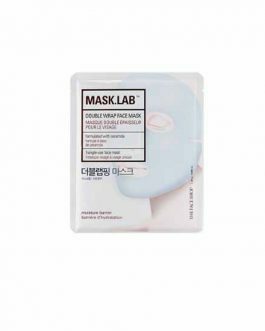 The mask is great for the price, but having used the Innisfree sheet masks, I would say this one is okay. The mask sheet itself is pretty seethrough and rough, looks pretty cheap but that can be seen with the price. I still love the product because it hydrates my skin nonetheless. I bought every single kind of the sheet mask and all of them works great yet with no differences. The only thing I can tell from these mask sheet is that it moisturizes my skin and that seems all. If you are looking to buy a sheet mask that hydrates your skin, this is the one. The different kind doesn’t matter that much considering that there is no difference in the result besides hydration. 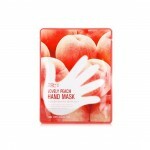 For this price, this Mask sheets are nice and show good results. I bought a few of the collagen, hyaluronic and cavier. These felt a little thinner than other sheet masks I’ve tried and didn’t quite fit my face but there was a lot of essence. For the price they are good to use regularly. Not my favourite mask sheets but still very good and very convenient. I always stock up on them whenever I can, especially when it comes to snail masks because they are a holy grail for me. 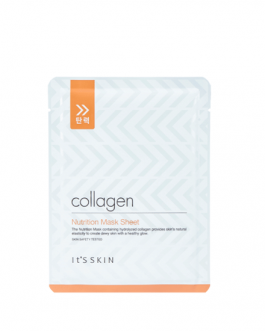 I got the collagen one and mask sheet was really thick. It for my face feels pretty heavy. There was so much essence on my face that it started to drip. But the scent was not it smells really fresh. My skin did seem brighter but the essence was so sticky I felt I had to wash it off. but it is cheap. I got the shea butter one and mask sheet was really thick. It for my face feels pretty heavy. My skin did seem brighter and my skin felt moisturized I feel like this mask is a more of like a pick me up. pretty good. These masks are affordable and effective. When my skin feels dry, I apply it and it feels moist. Good performance by price. I always come back to these masks. Great price and great results. this is the first sheetmask I’ve used that gave me results after first use! I must say the snail and pearl ones are my favourites. These are amazing! I used the Malie ones before but now I’ve switched to Tony Moly. I tried a few different ones and can’t see a big difference between them but overall they are all super moisturizing with a pleasant scent. I got the Ginseng one, it feels awesome! My mom and I love it! 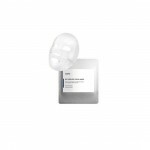 Very nice masks that do their job well and are not irritating. Recommended! I’ve only purchased the green tea one so my review is only applicable to that one. Personally, it was a decent mask, but the masks felt a little dry? Didn’t have a lot of essense in them so when I applied them, it dried really quickly. It’s a good daily mask though for when you want that little extra in your skincare regime. I really liked the organic cotton that they used, super saturated with essence and a thicker texture than other sheet masks I’ve used. However the mask might be suited for a more rounded face shape as it extended almost past my ears. Extra essence from the pouch (and after you use the mask) is awesome to use to moisturize your neck arms, and legs! These babies are my holy grail! I have tried every kind of them. My favorite are HA, Pearl and Snail. I have tried Pearl as one week daily mask and my face brightened a lot and it was really soft and dewy. You have to use at least on in every two day to see the results. These masks are amazing. 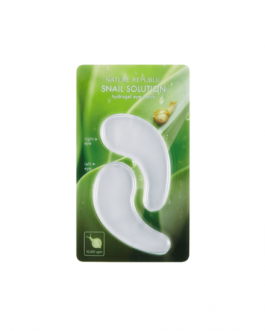 The snail one is kinda an essential to have, it soothes the skin and revitalizes it. I got the green tea one. Personally, i’ve tried other green tea masks from other brands, and this is not my favourite. I found it too drying, and with not so much essence inside. However, the sensation in the end is always fine. I just prefer others. So far I tried the green tea, placenta and ginseng one : I really liked ginseng and green tea (though I’m not a fan of the smell of the green tea). I couldn’t really what the effect of the placenta was. Besides the effectiveness of the essence, I like that the mask is big and is easy to settle on the face. Quite a lot of essence in my view compared to some other brands. Would recommend. Good price / quality ratio.